Talent show Mr Nasty Simon Cowell, showed a different side to his character on Tuesday night when he broke down in tears on stage at a charity event whilst unknowingly experiencing a wardrobe malfunction. His partner Lauren Silverman rushed to rescue the 59 old year old. Simon and wife Lauren arrived at the Nutcracker Ball in London suited and booted for the event. Lauren looked stunning in a high red halterneck as she posed for pictures with Simon by her side. Sporting his trademark look for the evening, Cowell donned an open shirt exposing a hairy chest and wore extra-long black trousers over Cuban heeled boots. Oblivious to his wardrobe malfunction, Simon smiled and posed for photos whilst the zip on his trousers was open exposing what looked like the interior material or his underpants. This didn’t go unnoticed by eagle eyed viewers who took to Twitter to debate the mysterious ‘wardrobe malfunction’. Simon later addressed the speculation around what could be seen popping out on the episode of the Xtra Factor. Speaking to presenters Rylan Clark-Neal and Matt Edmonson, he shared that he was aware of the Twitter commotion around the revealing snap and insisted that it was just his toe peeking out of the side of his inner thigh. “It was just my toe. It was quite embarrassing when I saw it online but it was just my toe. It would seem that young son Eric has been taking fashion tips from his 59 year old father. Earlier in the week, the youngster was photographed dressed in some of his Dad’s signature looks and the resemblance is uncanny. Sporting aviator sunglasses, an unbuttoned white shirt and overly long jeans, mini me Eric posed for the cameras. Let’s hope little Eric doesn’t experience the same wardrobe malfunctions as his father in time to come! The music mogul was overcome with emotion when a film at the ball was shown of him spending time with terminally ill children. Simon was called to the stage after the emotional video had been viewed by the audience. 59 year old Cowell struggled to maintain his composure as he attempted to speak but was unable to do so as he was so choked up and teary. Partner Lauren, who he has a four-year-old son with, hurried to his side and gave a short speech on his behalf. She too appeared overcome with emotion but did manage to stress in her speech the importance of raising money and awareness for the charity based organisation. I don’t even know what I’m saying, I’m just trying to speak for Simon – anyone in this room who’s a mum or a dad or who has a heart frankly can understand that seeing somebody in these situations is inconceivable – unimaginable. ‘But what Together for Short Lives and all these charities do for these families and the children is unbelievable.’ Simon managed to also speak afterwards – after regaining composure – admitting that working with the charity puts life’s issues into perspective. Other stars who attend the ball in support of the charity was fellow X Factor judge Ayda Fielded, Melanie Sykes and Peter Andre accompanied by partner Emily. The X Factor mogul known for his straight talking, showed a softer side last weekend during the show towards Cheryl Tweedy as she gave her much talked about performance. Returning to the ITV show after 4 years to perform her new single ‘Love Made Me Do It, the 35 year old crashed to the floor after a dance break. It was obvious that she had hit the stage surface quite hard. A concerned Simon could be seen turning to the other judges expressing his concern about whether she had hurt herself. 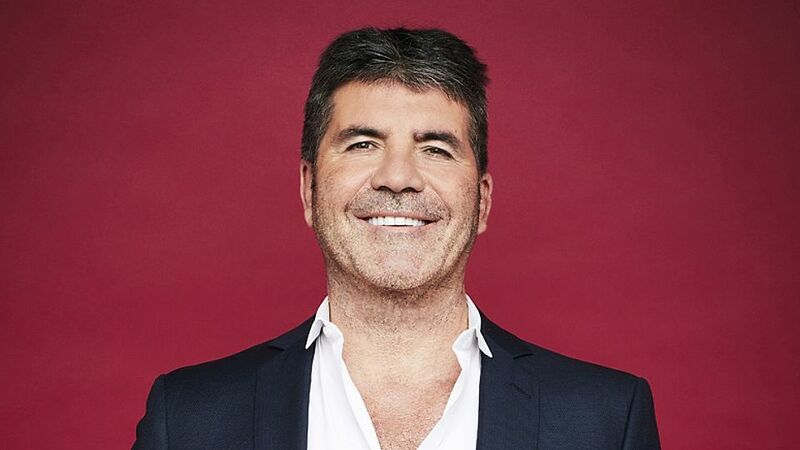 Last weekend, Simon took a big hit when two of his acts were eliminated from The X Factor. Bella Penfold was the first to go after Sunday night results revealed that she earned the least amount of votes from the British public. Next to go was Shan who was sent home after facing off against Acacia and Aaliyah in the sing-off. Showrunner Simon joined his act Shan on stage, and gushed about her talent showing support for the young singer.